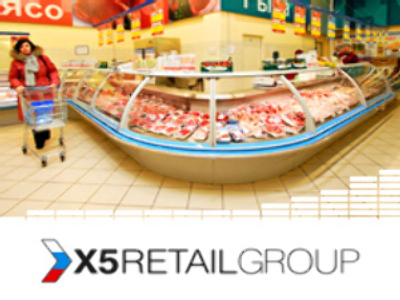 Russian retail group, X5, has reported a 1H 2008 Net profit of 161 million, up 432% year on year, under IFRS. The operator of the Perekrestok and Pyaterochka grocery chains saw EBITDA reach $351 million, up 66% year on year, on the back of Net Sales of $3.76 Billion, up 60%. The company attributed the results to increased sales volumes and profitability promoted by X5’s investment in prices and customer loyalty. After outlaying $940 Million for St Petersburg based Karousel, X5 has decided to retain the brand and reduce rebranding expenses. The company says its key priority for the remainder of the year is to ensure smooth integration of Karousel, improve its operational performance, and maintain its focus on efficiency across the group.